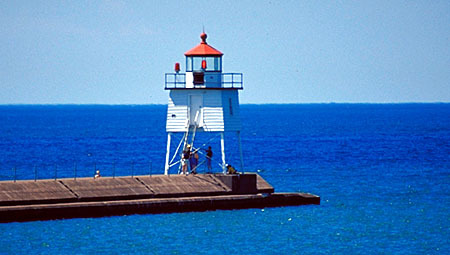 This lighthouse is currently a Bed and Breakfast run by the Lake County Historical Society (888-832-5606). The grounds are very attractively kept, and the 49 foot tower is open for climbing. Admission is charged. 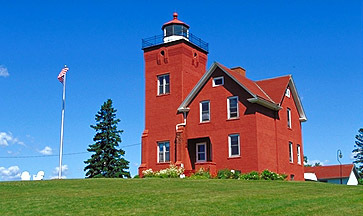 The lighthouse came into service in 1892, with it's red brick tower lit with a Fourth Order Fresnel lens. 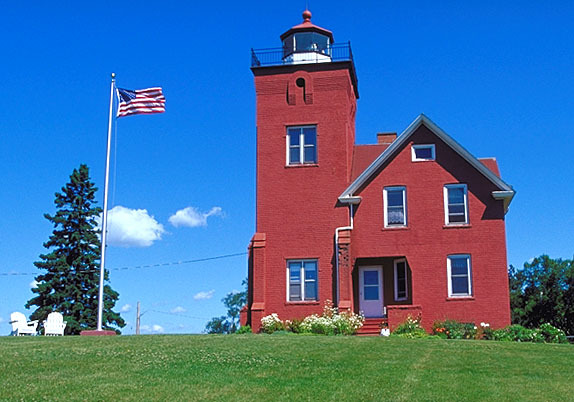 At that time, Two Harbors was the most important shipping point for the region's iron ore. The current optic is a DCB 224mm plastic lens. 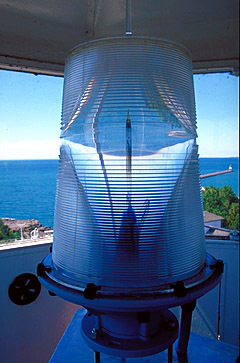 The light is still an active aid to navigation maintained by the Coast Guard. 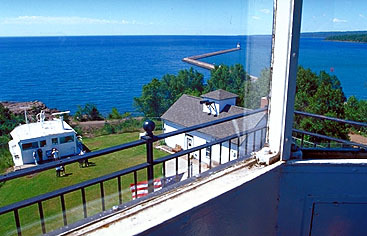 From the top of the tower is an excellent view of the lake and the breakwater with it's smaller light tower. There is also a fog signal building, which has been converted into a gift shop.